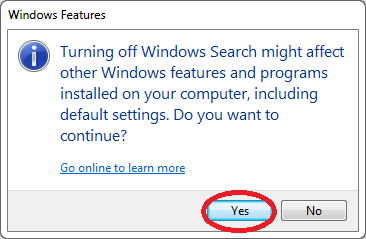 Windows Search in Windows 7 is turned on by default. If you are using other third party tools instead or you want to disable it because of security reasons, you can follow this tutorial. 1. All the search boxes in Windows will disappear, including the search boxes in Windows Explorer, the Start menu, Control Panel, the Documents library, and other libraries. 2. 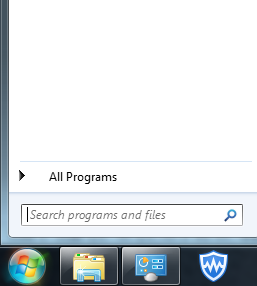 Programs that rely on Windows Search might not function properly. 3. Internet Explorer won't have enhanced search capabilities. 4. Windows Media Center won't have enhanced search capability. 5. You'll no longer be able to arrange your library views by metadata, and your column headers will only sort items, not stack or group them. 6. Options that affect Windows Search functionality will be removed, including indexing in Control Panel and the Search tab in Folder Options. 7. Windows will no longer recognize these search-based file types: search-ms, searchconnector-ms, and osdx. 8. Pressing Windows Key+F to open a search window will give you this error. 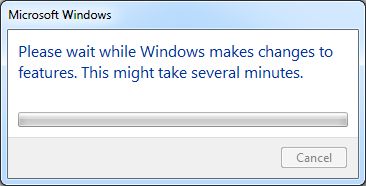 Step 6: Wait for few seconds while Windows finish changes and then Restart your computer for changes take effect. 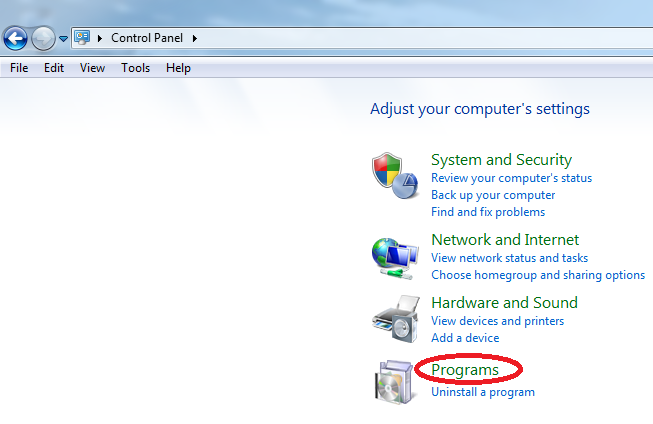 Step 7: Next time when you login in Windows 7 you won’t see Search box in your Start menu. i mean, the descriptin above will deinstall this feature not only deactived it. if you set "windows-search"-service from default "automatic" to "manual" + you have available the search boxes if you want. the index-service is deactivated. 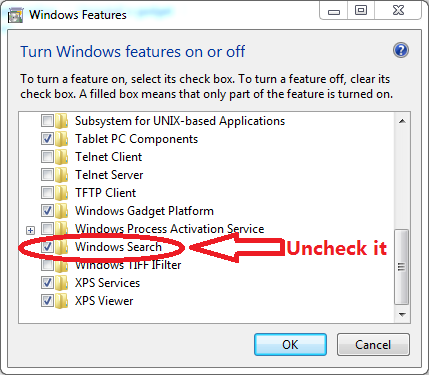 --> if you want it back, set only the "windows-search"-service to automatic and click on button "start"